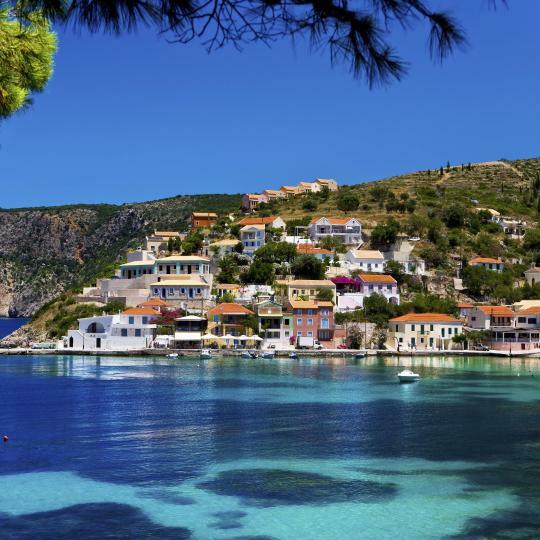 Stay in Kefalonia's best hotels! Natalie's Hotel & Apartments is located in Skala and features a seasonal outdoor swimming pool, a garden and a terrace. The property has a shared lounge, as well as a bar. The property has free WiFi. Everything is good, the price corresponds to quality. Offering an outdoor pool an a sun terrace with panoramic views over the sea, Petani Resort is located in Vóvikes of Kefalonia, set on a hill above Petani Beach. Fantastic place, couldn’t recommend it highly enough. Amazing views, so clean - just a fantastic place. Great Taverna 2 x minutes walk & a great beach 5 x mins in the car. Located on Argostoli beachfront, just 787 feet from the central Vallianou Square, Kefalonia Grand features elegantly decorated rooms with modern furniture, a restaurant and free WiFi. The staff is exceptionally friendly and the hotel has the perfect location. Set in the area of Maganos, within 3.1 mi from the scenic Fiscardo and Emblissi Beach, Melmar View offers elegant accommodations with views over the Ionian Sea or the on-site pool. The room service could be better. The breakfast could be richer in food. Just 164 feet from Lourdas Beach in Lourdata Village, the adults-only F Zeen features 2 swimming pools. FZeen is absolutely stunning. In the secluded location of Lourdata, they have built a luxury oasis. The pool area is stunning with extensive seating and luxurious cabanas and a fantastic view across lourdata bay and the ionian sea. The food at the hotel is fantastic- a modern variation on cuisine for guests who may be weary of the greek menus at restaurants that all look the same after a while. The rooms are modern and thoughtfully appointed. My favorite was the excellent outdoor gym with expansive mediterranean views: the gym has a conventional weightlifting space, as well as a functional training space. The hotel offers guests frequent yoga classes. If you have the opportunity to chat with the owners, you will find them to be kind, delightful people. FZeen is fantastic- you'll never want to leave. The newly built Anastazia Hotel is in the seaside resort of Poros, in Kefalonia. It offers, a pool, pool bar, and free Wi-Fi and parking. How friendly and helpful the owners were. Also the hotel was so clean. Surrounded by green mountains, the seafront Sami Beach Hotel offers a swimming pool, a hot tub and poolside bar. Sun beds and umbrellas are available for free. Hotel owners very helpful and friendly. Fiscardo Bay Hotel is located a short walk from the scenic Fiscardo waterfront with its taverns and shops. It offers a freshwater swimming pool, bar and wooden sun deck with loungers. This hotel was very friendly, very clean and comfortable and smelt lovely. Aenos Hotel is located on the main square of Argostoli and provides a friendly environment with 24-hour service. The best place in this rate class, I have ever been! I can compare it with the Hilton hotels across Europe, but at significantly lower price! Just renovated, furnished in modern and comfort style. Great marble finished modern and very relaxing bathroom. Exceptional climate control system. Best internet connection I ever had in a hotel in Greece (and I've been visited lots of hotels in this country) Very nice and friendly staff! Overall best value for the money you can find in Ionion islands! Offering an outdoor pool and surrounded by native cypress and cedar treest Emelisse Nature Resort is located along the Ionian Sea shoreline, in Fiskardo of Kefalonia. Called the property to enquirer about coming two days earlier than expected as the hotel we had booked was so disappointing. Angeliki was more than helpful in accommodating our request, and made sure that we were happy. Upon arrival we were met and escorted to our bungalows which surpassed all expectation. Impeccable and professional, friendly staff, ready to assist with any enquiry. Absolutely beautiful! Would highly recommend. Breakfast is exceptional. Buggy drivers always at hand. Offering an outdoor pool an a sun terrace with panoramic views over the sea, Petani Resort is located in Vóvikes of Kefalonia, set on a hill above Petani Beach. Fantastic place, couldn’t recommend it highly enough. Just 164 feet from Lourdas Beach in Lourdata Village, the adults-only F Zeen features 2 swimming pools. FZeen is absolutely stunning. In the secluded location of Lourdata, they have built a luxury oasis. Aenos Hotel is located on the main square of Argostoli and provides a friendly environment with 24-hour service. The best place in this rate class, I have ever been! Located at a hilltop of Petani Bay, the 4-star Petani Bay Hotel - Adults only offers an award-winning infinity pool. It features individually designed accommodations with Ionian Sea views. The attention to detail by Voula and her staff! Just steps from the sandy beach in Skala Kefalonias, Paspalis Hotel features an outdoor pool, a blossomed sun terrace and a poolside snack bar. Very comfortable stay. Nice and quiet swimming pool. Located on a property of 13123 ft² and surrounded by greenery, this traditionally styled villa is 1969 feet from Katelios Beach. It features a chlorine-free swimming pool and hot tub. It was impossible to find anything not to like ,it was all great. Almyra Hotel in Fiscardo offers 2 fresh-water pools and a panoramic rooftop terrace with view over the bay. Its charming guest rooms feature satellite TV and DVD player. Our room had fabulous views across the bay - a very special place to stay. Situated close to Avithos Beach, this charming resort offers a variety of spacious and well-furnished accommodations on beautiful grounds by a freshwater pool, creating a peaceful and relaxing... We thought the breakfast was excellent. Located 262 feet from the beach of Agia Efimia, Moustakis Hotel offers air-conditioned rooms with free Wi-Fi and a furnished balcony overlooking the Ionian Sea. Great location. Facilities are good, freandly staff and very good buffet breakfast. 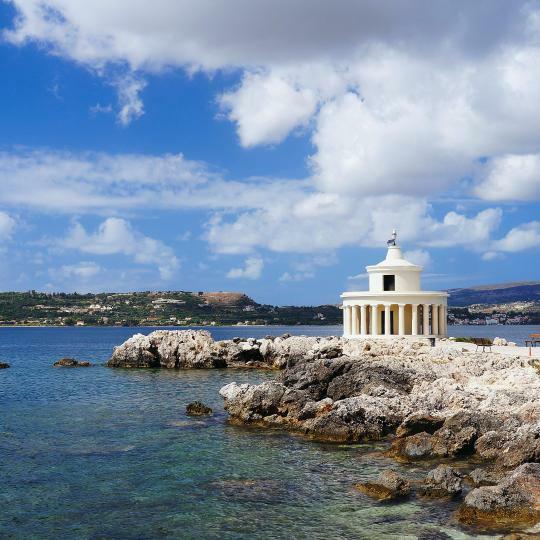 Located in the scenic Argostoli, just a few steps from the beach, Aggelos Hotel features a sea-view snack bar and provides free Wi-Fi throughout. The hotel was great and the staff extremely helpful with everything. Surrounded by lush greenery in Peratata Village, Ionis Hotel offers a swimming pool and snack bar. The owners are fantastic gree familly who work everyday within their hotel for 24h. 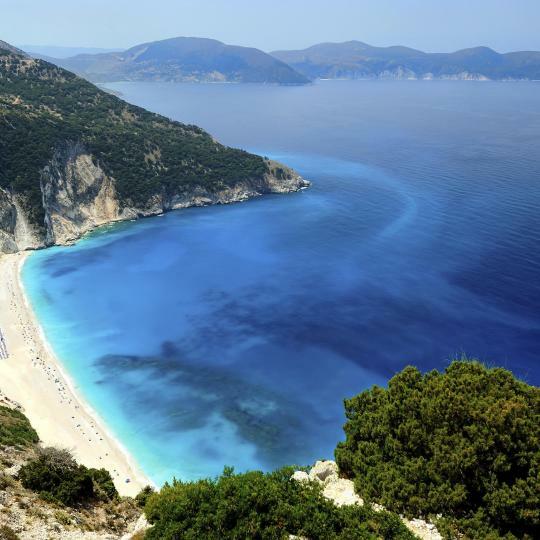 Repeatedly voted Greece’s best beach, Myrtos’ gorgeous turquoise hues and white sands are sheltered by steep cliffs and lush greenery. Assos sits on a picturesque peninsula and offers a scenic location, a Venetian castle and charming tavernas scattered along the water’s edge. 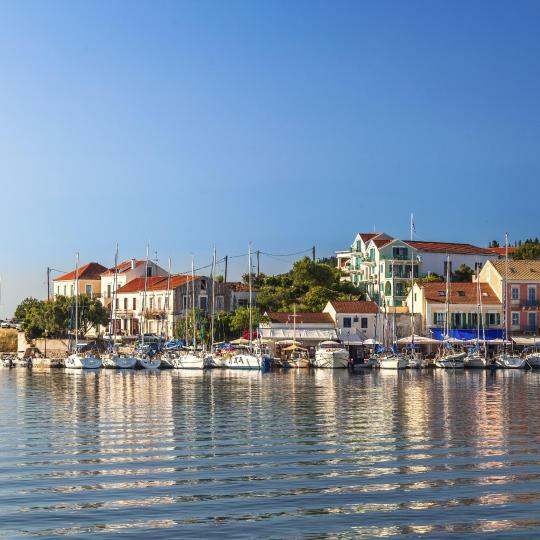 Built around a pretty harbour, Fiskardo maintains its original Venetian design and is home to a marina full of luxury yachts. 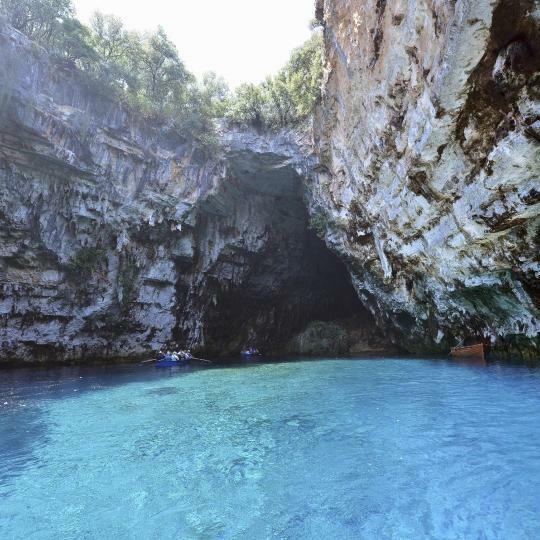 Melissani Cave’s water-filled chambers include one filled with stalactites and another which floods with light around noon, creating stunning effects on the turquoise depths. Built in 1828, this Doric-style Lighthouse features an 8-metre-high tower in its centre. It was rebuilt after the earthquake of 1953. 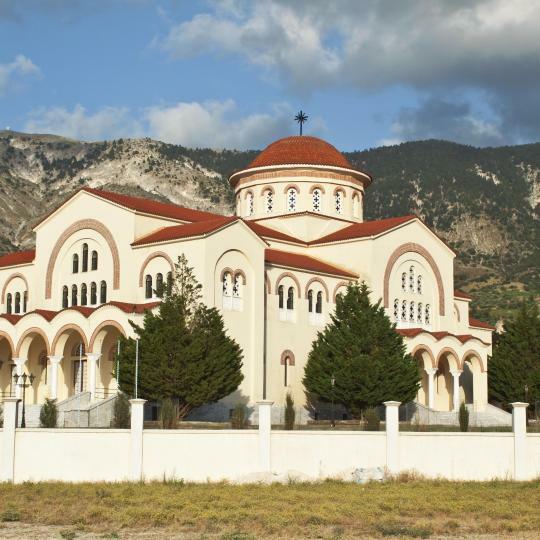 Saint Gerasimos is the island’s patron saint and was believed to cure locals from illness. His remains are housed in this 16th-century monastery. With lush vegetation scrambling down to its stunningly clear waters, it’s no wonder Antisamos featured in scenes of Captain Corelli’s Mandolin. 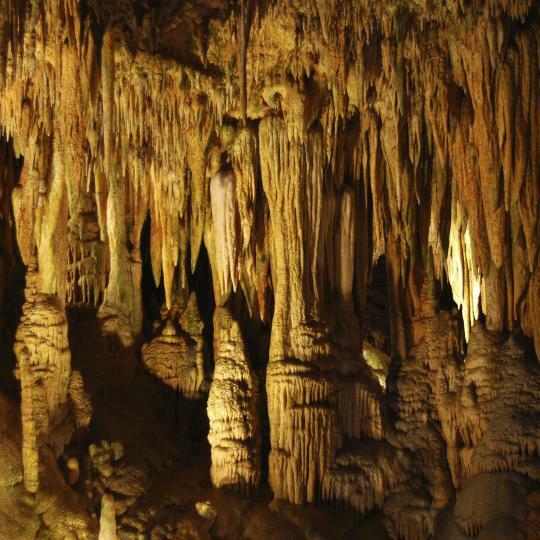 This 60-metre cave filled with stalactites and stalagmites is said to be 150 million years old. Its great acoustics make it an ideal concert venue. 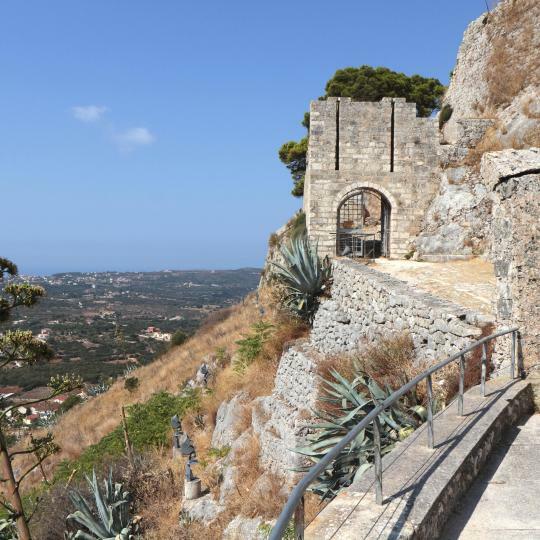 Built by the Byzantines in the 12th century, this polygonal-shaped town was once the island’s capital. A popular spot to watch the sun set, this beautiful beach’s 600 metres of white sands sit between dazzling blue waters and charming tavernas. This was a rare find out of the blue. My husband and I traveled to Kefalonia on a whim without any plans. The brand new staff headed by a wonderful manager, Antoni Solomos, couldn't have been any nicer. As this hotel had just opened we had the pleasure of being the first guests to sleep in our room. Any new business always has kinks to work out but this Hotel operated like it has been there for years. You cannot go wrong here, the rooms are fabulous, the location is superb and the staff are so helpful. The rooms are very spacy. There is a separate parking place for each apartment. Apartments are arranged in such a way that you fill isolated from other guests and still it is easy to get together if you like. Terrace doors offer excelent noise isolation. 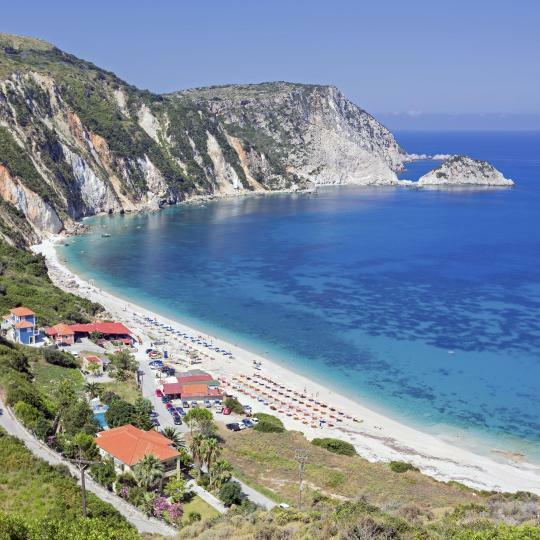 If you visit Kefalonia you ideally want to travel around by car or motorbike and this location is great as a starting point. Lurdas beach is quite close and it is always a nice solution if you get tired of traveling. The host is kind and ready to help. This place totally exceeded our expectations, the hotel has excellent amenities, similar quality to most expensive hotels in the island. Vaghelis, the owner and host, was very friendly and relaxed, he let us to check out late (3 PM) without any problem, always giving us useful tips, and he also makes one of the best wines we tasted in Kefalonia. This hotel is located very conveniently to great restaurants and only 10 minutes driving to one of the most beautiful beaches of the entire island: Amandakis. We staied in the 2 bedroom apartment wich is very well equipped. Excellent rooms - very clean and well furnished, large fridge in the kitchen :) You have there everything you need. The apartment looks as good as in the photos. We were very pleased about the location ( Razata is very close to the capital Argostoli). In my point of view near the capital/capital or Lassi are the best places to stay in Kefalonia. Recommend Madalena's apartment without hesitation. We loved the pool area and the grounds and the views of the sea and the fact that this was amazing value for money. We booked this hotel for our first night in Kefalonia as it was only 10 minutes from the airport but we were very pleasantly surprised by how nice it was and will definitely come back here when we return to Kefalonia. It looks even better than it does in the photos . The studios are basic but the whole place is very good value . We enjoyed our stay in Lixouri and being located in a good hotel was a great part of our overall experience of Kefalonia. We had a lot of space in our apartment with 2 balconies. The apartment was perfectly clean every day and we had no troubles at all during our stay. The owner and people working at the hotel were very kind and helpful. Also big thanks to owners for their help during our troubles with the ferry on arrival. Location is amazing, Lourdata beach is one of the most beautiful beaches of Kefalonia in my opinion. It is 3 minutes by car or 10 minutes walking to lourdas beach. Apartment was very nice for the price we paid, kitchen well equipped, terrace is small private and very comfortable, and there is also big terrace in front of apartment for common use. Over all I was really satisfied with Ramona apartment. When we come back to Kefalonia, we will be at the same place. Even a very bad weather we had for a couple of days, could not spoil the impression of this apartment. Everything was just like should be. Clean and spacious place, surrounded by flowers and trees, with a great see view. Hristos (I hope I spelled properly), the owner, was very helpfull and kind. I warmly recommend to everyone. The owners of Nefeli apartments were the kindest, most gracious hosts. It feels like you are staying with family. The apartment was very clean and comfortable. Nefeli apartments is a two minute walk from downtown Ayia Efthemia and 15-20 minutes from some of the most spectacular beaches in Kefalonia. I would highly recommend staying here to anyone considering it. We were in Kefalonia because my one year old son was at the hospital. During my many trips to Greece never have I found such hospitality. Our hostess sent her son to pick us up at the hospital and managed with one phone call to recuperate our car which had remained in Ithaka. She was warm and caring in a time of distress. Thank you!!! The hotel is near de port, nice restaurants at walking distance. Amalia is amazing she explained and gave recommendations for things to do in Kefalonia. The room is perfect! Big and with everything you will need. Very clean and well maintained. I really enjoyed my stay there. We strongly recommend this hotel. It is clean, inexpensive, super well located and quiet. 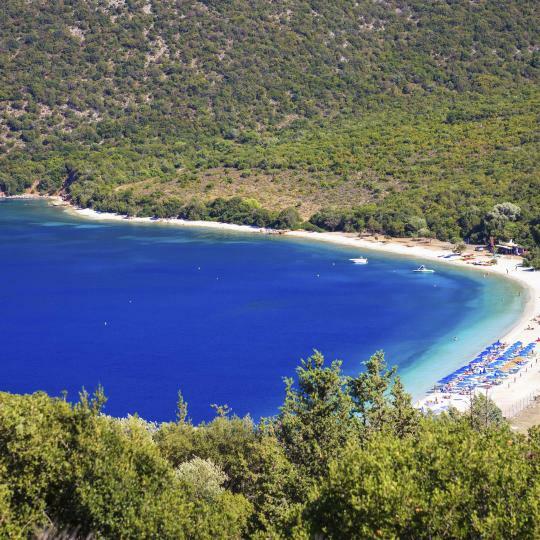 The owner of the hotel is a very good source of information about Kefalonia. He helped us find a car to rent at a very decent price when all agencies had no cars left. The host (Andreas) was so friendly and helpful. We actually did not plan the places to visit in Kefalonia and Andreas made up a really good plan for us. He gave excellent restaurant recommendations. We really enjoyed our stay thanks to the host! The host was really considerate and friendly. He helped us so much, including booking one day tour, explaining all the details about Kefalonia and Greece. He also prepared delicious Greek snacks and drinks for us. We hope to come back again! Awesome hotel, the owner did a great job with the renovation! The staff was exceptional, rooms were nice & clean and the breakfast was way above average. Will be staying again for sure on the next visit to Kefalonia! Clean and lovely apartment. Central and convenient location. George (the host) was amazing - thanks for everything! Will definitely recommend the place and Kefalonia to everyone. We had a lovely stay. Staff were helpful. The resort is really luxurious and relaxing. Upon arrival we were taken to our room by golf buggy. The staff quickly changed our bed from two singles to a double upon request. The room had a great view of the pool and the sea. We also received good tips from reception on where on the island to visit.